Deaf young people are reporting problems with all aspects of the process to claim the benefit, Personal Independence Payment (PIP). From having to use the phone to request an application form, to staff lacking deaf awareness and finally being denied the benefit, the process discriminates against deaf young people. Unfortunately the Government decided to rollout PIP to all from July 2015 before fixing these problems. In response we have launched a new campaign, PIP’d Off. This campaign calls on the Government to improve all aspects of the claim process for deaf young people. As part of this campaign, we’re asking people to take action and call on the Government to halt the rollout out of PIP until it is fully accessible to all deaf young people. Almost 800 people have emailed the Government about this issue so far! “We have a number of children with hearing impairment at school and two in particular whose disabilities will be life long. Looking ahead to their future I would like to think that those governing our country will consider ensuring that there really is equitable access to welfare benefits for the disabled. These young people have to work harder than their peers to achieve the same results. Everything is a challenge including socialising. Please look again at the PIP for these youngsters – they have the right to independence in the same way that every young person without disability does”. It’s clear that many people are not happy about this issue. Please have your say as well and take action as part of this campaign. 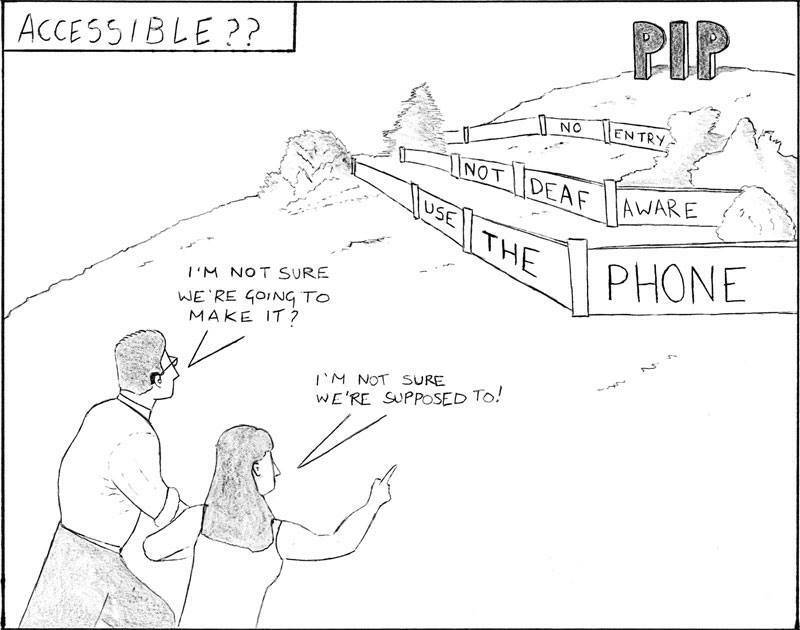 Call on the Government to halt the rollout out of PIP until it is fully accessible to all deaf young people! Find out more about PIP’d Off and watch out for more blogs reporting on the progress of this campaign. This entry was posted in Campaigning, UK, Welfare and tagged benefits, campaign, deaf, deaf young people, Government, Liz Partridge, PIP, PIP'd Off. Bookmark the permalink.